Fundraising in the life science sector has changed significantly over the past five years, as old players fall by the wayside and new players come in to take their place. The overriding observation is that the sands are shifting and we are about to see the new landscape. What this means is that since the roster of life science is changing, everybody better update the rolodex. These categories of investors have their own investment preferences and style. The first role of any life science executive tasked with the role of fundraising should be to create a Global Target List (GTL) of investors that you should reach out to and stay connected with throughout the life of your company’s development. 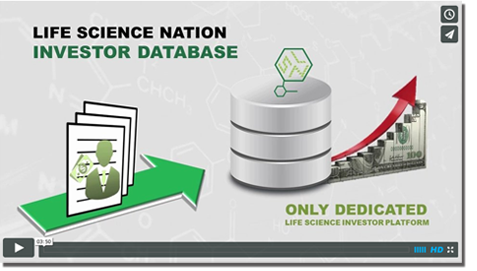 As a result, the first step is obtaining a list of investors that operate in the life science space. This can be done by leveraging your internal network, or working with a third party research company that specializes in the collection of investor information (like LSN). For example, take a broad-brush first pass, create a rough indicator that draws out the most common investors during each phase of clinical development that you would be able to put on your radar screen as a general fit. The task of determining investor preferences is the most difficult part any fundraising effort, as it requires in depth information about your investor prospects. The aggregation of this information is time consuming, and requires commitment and considerable resources. As a result, one of the easiest ways to aggregate a list of potential investors is to identify comparable companies that are developing similar technology and assets. Once a list of comparable companies has been identified, the next step is to look at each of the comparable financing rounds to identify the names of the lead and co-investors. When identifying comparable companies, you should divide them into three tiers: exact fit, good fit, and rough fit. This will allow you to prioritize investors based on the fit of the comparable company. Reaching out to these investors should enable you to create a GTL of investors that are knowledgeable about your technology and space. Remember, many investor strategies have to do with aggregating assets under a particular silo or indication. One of the common misconceptions in the industry is the belief that investors will not invest in competing technologies and assets. This could not be further from the truth. Remember, investors are interested in returns, and if a technology or asset competes with one those held by their portfolio companies, they are particularly interested in order to hedge their risk. Investors demand diversification and understand that investing is a number game. The recommended route to identifying preferences of investors is to work with an established third party research group that specializes in the aggregation of investor data. These companies will help you navigate through the complex maze and enable you to find investors that are a fit for your companies’ profile and capital needs. Having filtered your GTL to a list of investors to around 500, it is your turn to reach out to them and begin a conversation that will morph into a relationship, which will turn into an allocation. Remember, investors are people too, and at the end of the day, they are mostly investing in you.